An initiative of Monkey World Ape Rescue Centre, UK and the Pingtung Rescue Centre, Taiwan, under the Endangered Asian Species Trust (EAST). 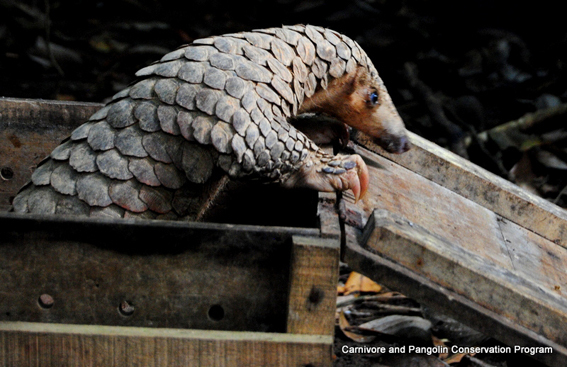 The Carnivore and Pangolin Conservation Programme are working with the Cat Tien Forest Rangers rehabilitating and releasing trade-confiscated Sunda pangolins. Released individuals are tagged with a radio transmitter, so that their survival can be monitored post release and important ecological data can be collected regarding home range size, den site selection and use of space for this elusive species. This release programme should reinforce a depleted wild population within the Park, increase its genetic diversity and making the population more viable in the long term. 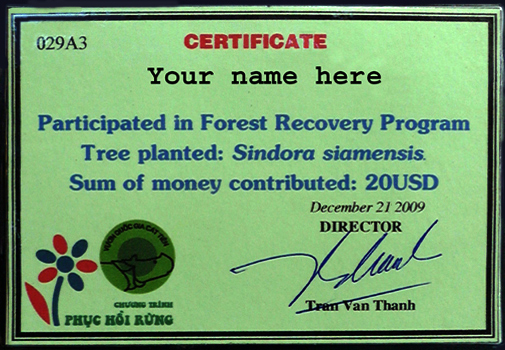 When it opened in 2009, this was the first public-private partnership with a National Park in Vietnam. A dilapidated guard station building, next to the Ben Cu rapids, now acts as a reception area for a number of deluxe, low-impact accommodation units, set in the adjacent secondary forest. 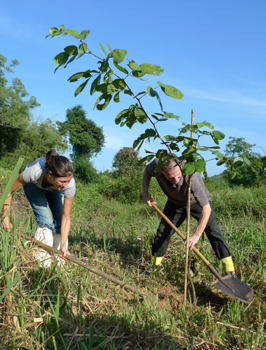 Bringing in visitors not only supports the local economy, but also raises environmental awareness and can reduce poaching (forest paths are watched more). FFL invites investors, naturalists, scientific visitors and all who respect the environment to share in their mission: the first phase, eco-lodge construction, has now been completed and we are currently upgrading facilities. Management and genetic studies: especially of the guar. "Cat Tien ... harbours around 10% of the total number of gaur in Vietnam, with at least 50 individuals in the National Park. Banteng and wild water buffalo have not been recorded recently ... but it is possible that some individuals survive in the southern sector." Ta Lai is a village on the southern boarder of Nam Cat Tien which houses three ethnic minority groups that previously inhabited the Park zone; it can be visited either by road (bicycle) or river boat. The people have traditionally hunted and gathered forest products resulting in loss of wildlife near populated areas. In an attempt to provide alternative livelihoods, an important eco-tourism initiative sponsored by Danida and the WWF and operated by VietAdventure, has assisted local people in the construction and management of a long-house. The serene setting overlooks paths into the Park and the attractive Vam Ho lake, where visitors can swim or go boating. Visitors can get a taste of traditional life: staying the night and hiking or biking using local guides. 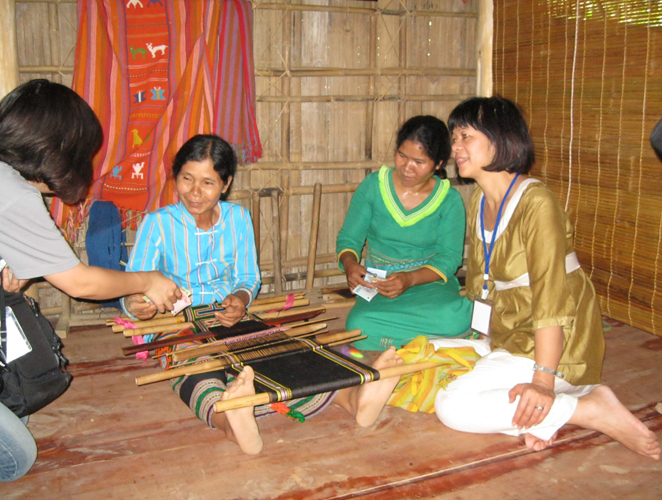 Day visitors can buy handicrafts, or refresh themselves after excursions in the area. Events are arranged every week, including traditional meals, music and dance. VRTC scientists have been working in Cat Tien since mid 1990s (linked to ecological studies in Ma Da State forest dating back to the 1980s). Cat Tien is seen as a key site to carry out the team's objectives, namely: multi-disciplinary studies of tropical ecosystems and monitoring changes (succession, land use, etc). Nam Cat Tien provides infrastructure for long-term scientific studies with specialists currently working on topics such as: Amphibians, Bacterial ecology, Botany, Crustacea, Lepidoptera, Mammals, Ornithology and Soil biology. 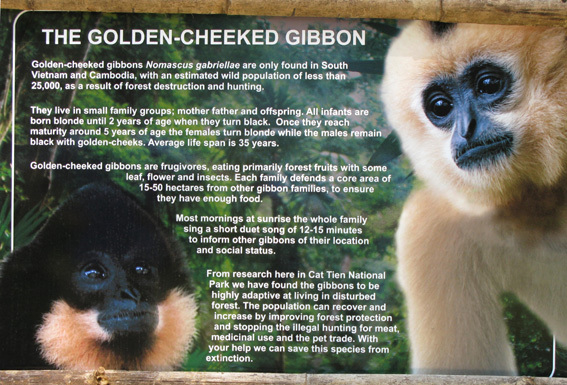 The Cat Tien Bear Sanctuary began operations in October 2008, with the enclosure of an area adjacent to Park HQ, containing large trees and shrubs. "Some of the trees and shrubs are protected to provide shade for the bears. Other trees are left for bears to climb as occurs in their natural environment. ... Eventually most of these bears will be transferred to an even bigger bear sanctuary at Hon Me in Kien Giang Province." 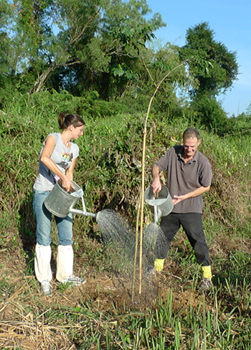 Tree planting: especially along riparian zones. The WWF is "strategically focusing on conserving critical places and critical species that are particularly important for their habitat or for people." 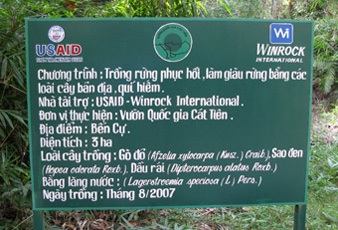 Previously, WWF Vietnam assessed a pilot project to help the people living in the core zone of the national park to move to improved settlements. Current emphasis is on practical solutions for healthy ecosystems, where people and nature can thrive together, in a stable environment.